[VIDEO] Poland’s ‘Top 20 Songs’ for the month of January 2014 – Missing You at Number 9! [INSTAGRAM] Hwangssabu (@HWANGSSABU): “The Loneliness of Self-Discipline” ft. Dara! 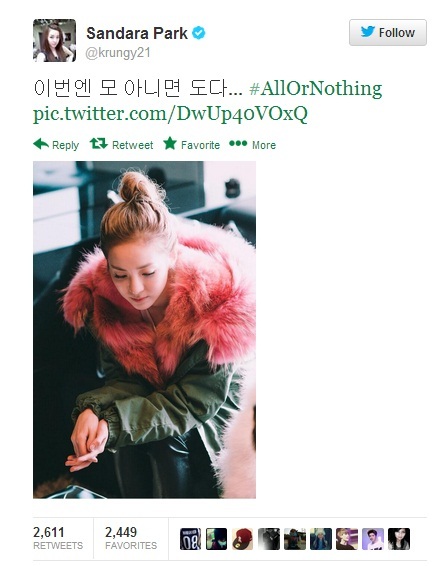 [NEWS] Will New 2NE1 Music Debut During ‘All Or Nothing’ World Tour Premiere? 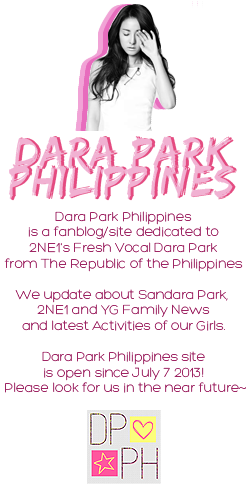 Dara Teases Blackjacks With Mysterious Concert Set List! Latest Music Video! Watch it NOW!